Rocket 88 is one of many songs credited as the first in Rock and Roll history. It’s also one of the first to use guitar distortion…but, not on purpose. The story goes like this…in 1951, as Jackie Brenston and his Delta Cats made their way to the recording studio to record Rocket ’88, the guitar amp’s woofer was damaged. One band member claims it was dropped, while another faults moisture from heavy rain that day. The result: that slightly-fuzzy, just-plain-rock-and-rolly, sound that would be emulated to this day. The Cats usually went by a different name: Ike Turner’s Rhythm Kings; That’s Ike on piano. 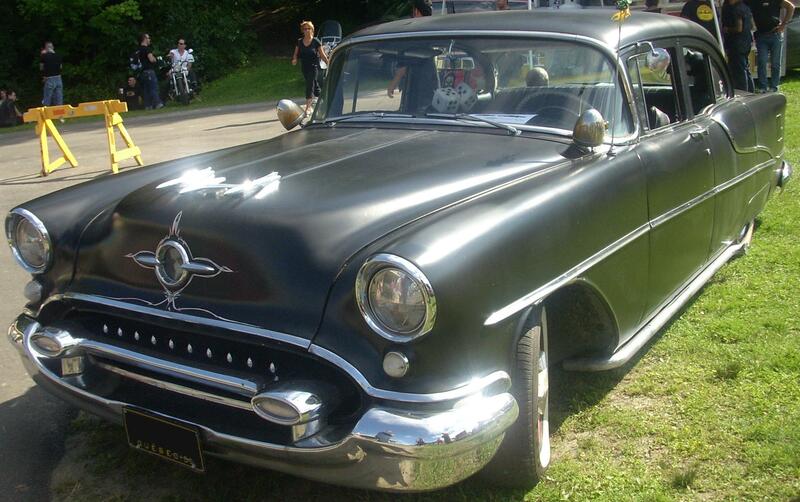 The song was named for the fastest car on the road at the time, the Oldsmobile…Rocket 88. The car would dominate the NASCAR circuit in the 50’s. Get on the beat whenever you want! Subscribe to our free podcast at itunes.